I created this Twitter list when I was first getting into Twitter. I have been curating the list ever since — and it’s still my go-to way to use Twitter (who follows their home stream? Once you follow more than a couple hundred people, Lists are the only useful way to use Twitter.) In any case, I’ve added all the people who live in and around Portsmouth, and/or tweet about Portsmouth. Since I use the List myself as my go-to stream, I clean out anyone who misuses Twitter as a bot or merely for promotional purposes — so I can personally recommend this list. You can subscribe to the list, or just check out the members and follow them all yourself, if you’re looking for local tweeps to follow (are we still using the word “tweeps”?). Seacoast Lately is a great guide to many places in the area — shops, restaurants, etc. They put out a map of handy places to go and things to do, too! And you should subscribe to their newsletter, too. The Portsmouth Herald is the main journalism source for Portsmouth. SeacoastOnline.com is where the digital stories live. Most content is behind a 3-views-only-per-month paywall, but even just looking at the headlines on the homepage will give a good snapshot of the news stories of the day. They’re not printing on paper anymore, but you can still get digital news from The Sound. Notably, they’ve continued to do their Port Watch posts, so if you want to know anything about the schedule of big ships on the Piscataqua, this is your resource. A great resource for upcoming events. They’ve got a good calendar of regional and local events. Another good calendar resource — this one is statewide. 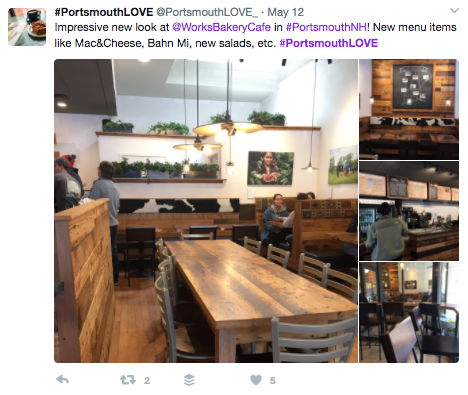 You can focus on Portsmouth or any other region in the state.